These are the official Danger Mouse licensed characters, Danger Mouse. 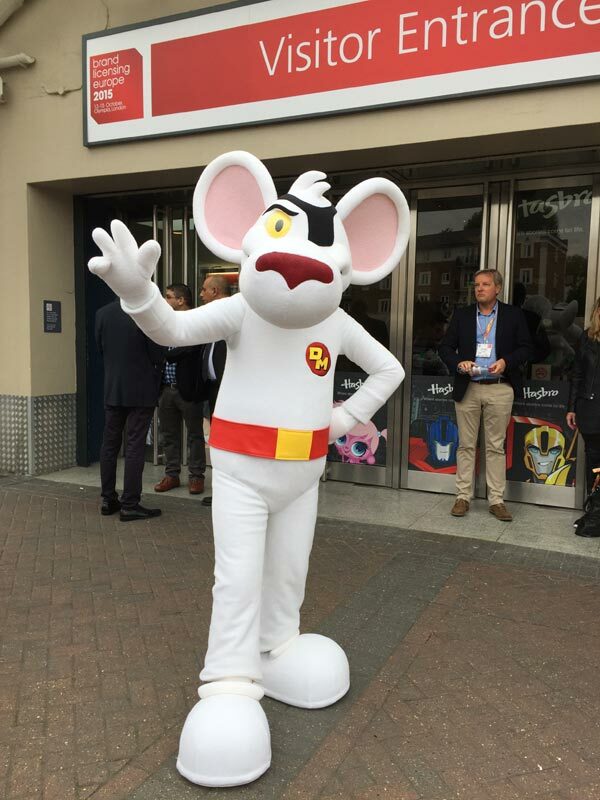 When hiring a professional in a Danger Mouse costume, UK parks, shopping centres, festival organisers and others can provide patrons with an authentic and fun experience for the whole family. A character actor in a Danger Mouse costume can be booked by the day or overnight for large scale events, and our prices include the cost of travel, sustenance, and liability insurance. When it comes to arranging professionals to attend your next event, place your trust in Rainbow Productions, experts in the field. 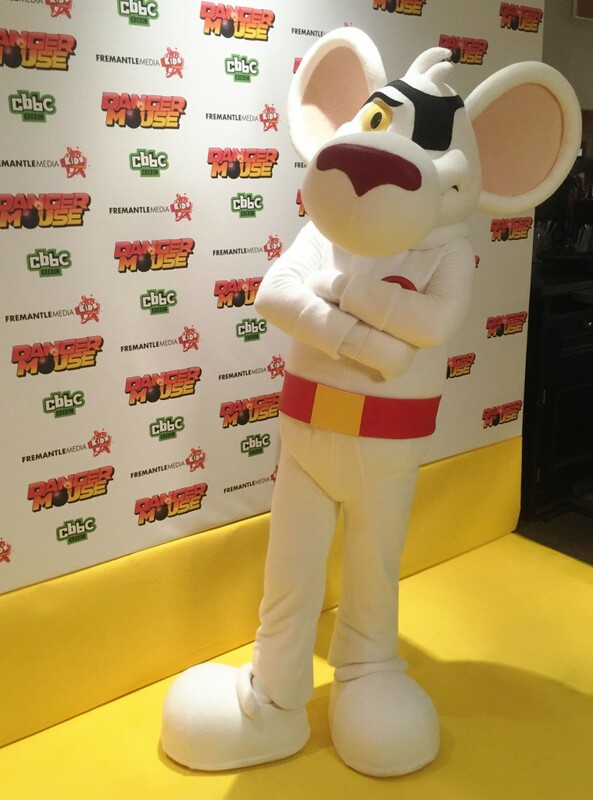 For more information and to book Danger Mouse costumes hire, contact us today. 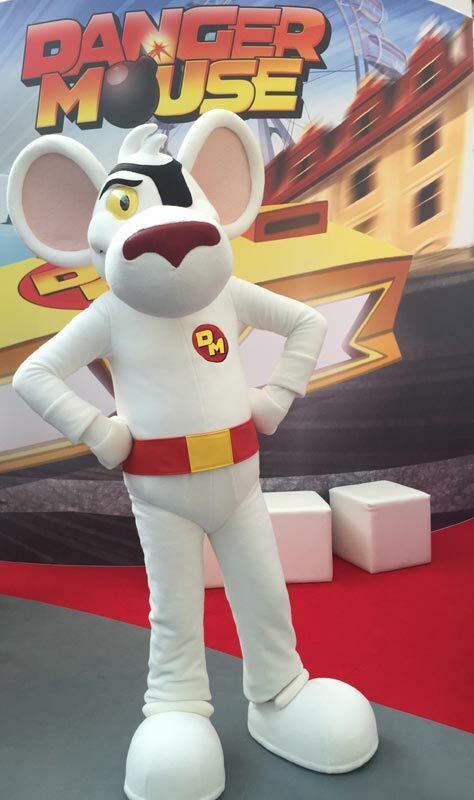 A professional dressed in a Danger Mouse costume can really make the difference to your next public event. Since the franchise was rebooted in 2015, fans young and old are enjoying the tales of this charismatic critter and his companions. 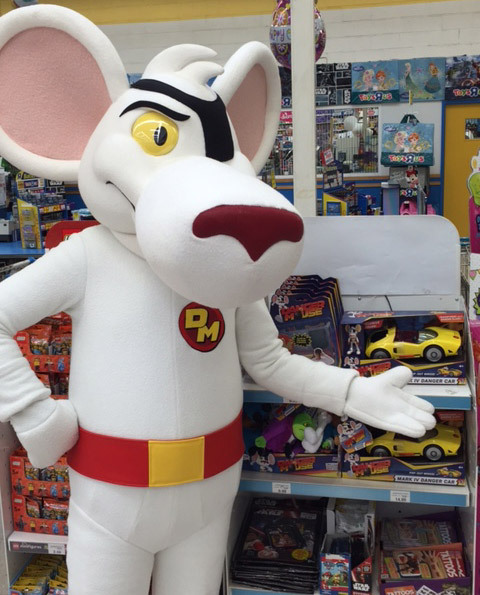 Thanks to the authenticity and high quality of our Danger Mouse costume adults and children alike can enjoy interaction with one of the most popular characters on children’s TV. What really sets us apart from others is that we supply so much more than just a Danger Mouse suit; our licensed character costumes are brought to life by trained professionals to give children the most realistic experience possible when meeting their favourite on-screen heros. In addition to having a professional in a Danger Mouse outfit, on the day you will also have a “Minder” who will accompany the character, helping them with movement, changing, eating and of course interaction with event-goers. We can arrange for pictures to be taken to let those attending events so that they leave with a memento of their exciting encounter. We can also provide guidance regarding promotional materials for your event so that you can include imagery in a way that’s compliant with commercial royalty guidelines and more. Danger Mouse is the world’s greatest secret agent; so secret that even his code name has a code name. Penfold is his loyal assistant. The brand new series of Danger Mouse launched on CBBC on September 28 2015. Series 2 launched on 14th June 2017, as part of CBBC’s Danger Mouse Day. Danger Mouse will also return in a third series which has been commissioned. Alexander Armstrong is the voice of Danger Mouse and Dave Lamb joins the case at the narrator.